Hello folks! 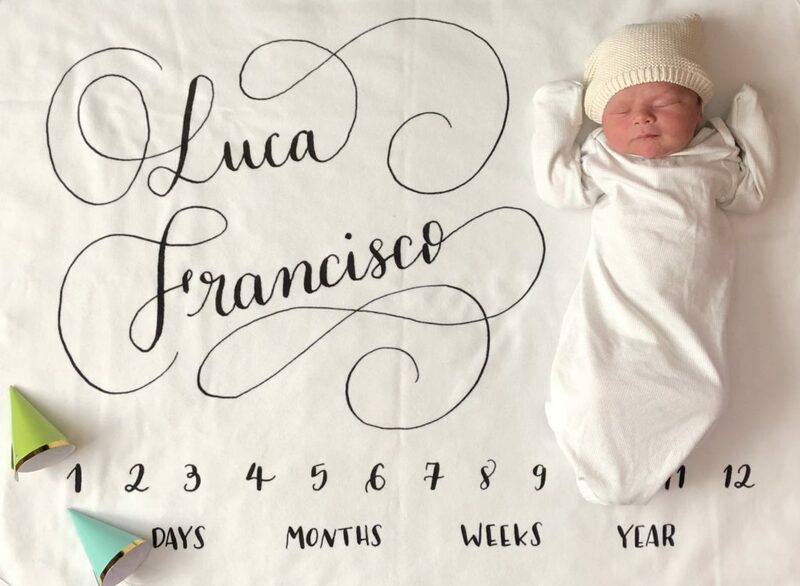 Luca Francisco is here! He was born on a rainy spring night, on April 7th at 1:32am. Weight: 8.15 lbs Height: 20.5 inches || 4.055kg / 52 cm. It was a the night of the “Pineapple Express” -a storm coming from Hawaii- and after 3hs of labor at home, we arrived at Labor and Delivery at 1:10am. Our own little Pineapple Express arrived just 22 minutes and about 6 pushes later! (I even had to be admitted at the hospital after given birth since everything went so fast we couldn’t do it before!). We were surrounded by so much love and care and we’re so thankful that such special, kind, lovely people like my mother in law and Katie Heredia my doula were there with us during this extraordinary moment of our lives. My baby and I are doing great and this now family of 4 is happy, healthy and thankful to God for all the joys and blessings that He has given us. As you may all know, I’m still on my maternity leave but I wanted to pop here and say hi and share a little pic of my newest addition. 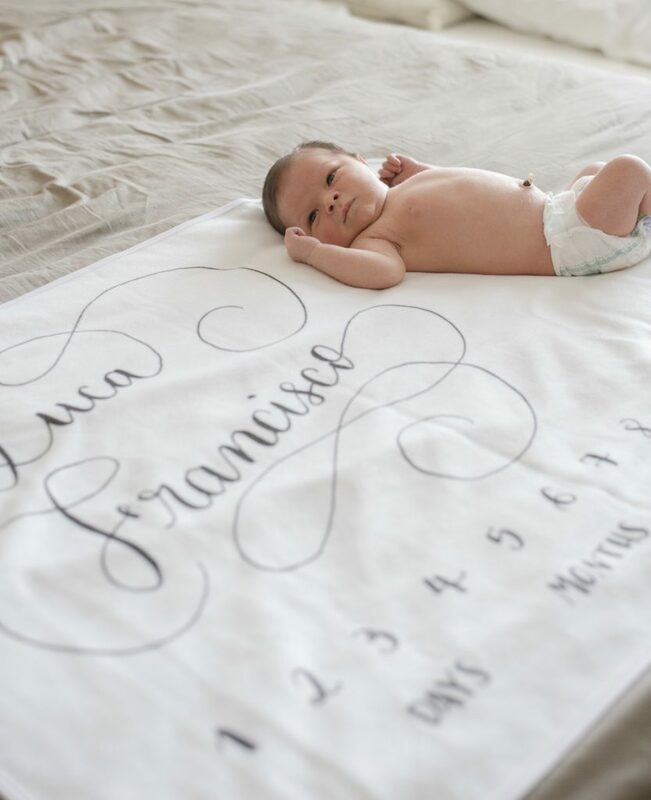 Here’s Luca 1 day old on a blanket that I created specially for him. This project started with a pointed pen, paper an ink and after digitizing it on Photoshop, I printed it on a soft blanket made in the USA. Isn’t it amazing how many things we can create from words on a paper? I’m still fascinated by this beautiful art folks, I cannot lie!